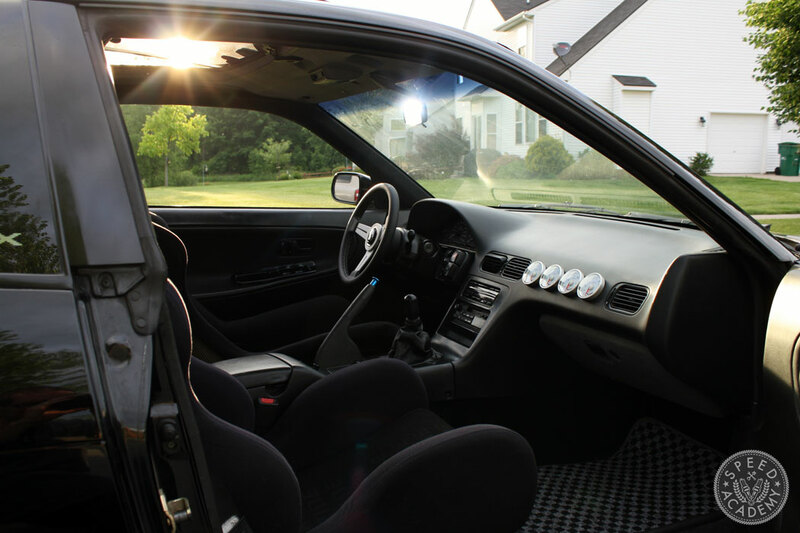 One aspect of my S13 that I always really enjoyed was the car’s interior. I made numerous changes to the cockpit over the years including a few different seats, steering wheels, gauge setups, and chassis support bars. 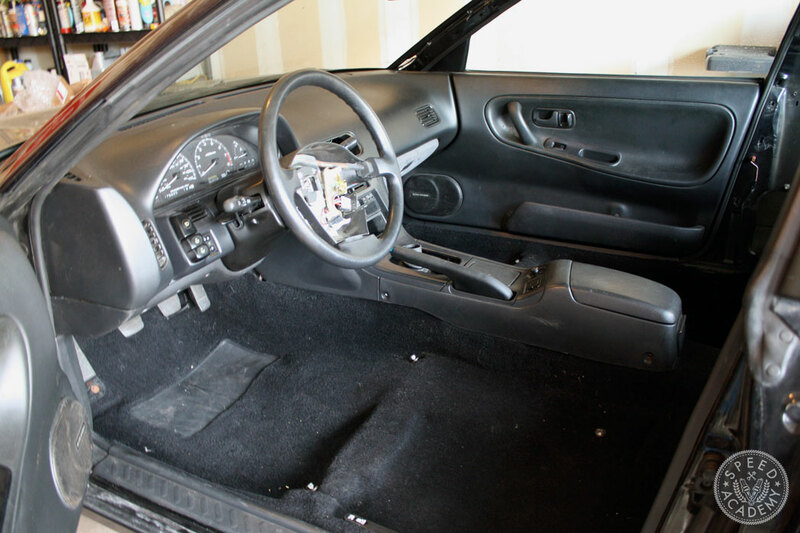 By the time I parted the car out in 2012 the overall interior vibe was very loud- think Drift Tengoku 2001. While I really loved the chassis bracing and wild appearance, I wanted to take a slightly different approach with the rebuild. As with every other area of the car, my interior had been heavily picked over during the part-out. When I got the car back only a few of the interior items I had installed remained. The dashboard, center console, carpeting, and a few of the rear interior panels were all that was left. This meant that at a minimum I was going to need seatbelts, front seats, and a steering wheel in order to be able to drive the car. 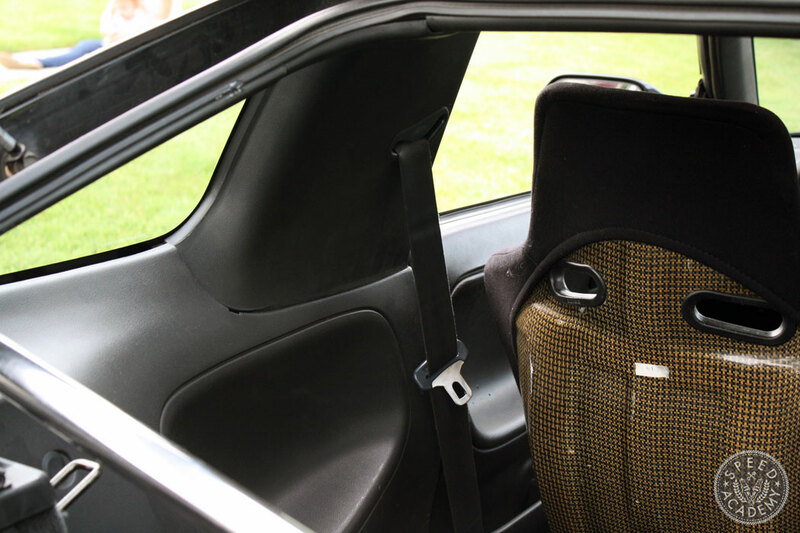 I began the interior rebuild by sourcing a 180SX seatbelt conversion consisting of manual seat belts, A pillar plastic, and B pillar plastic. This is the same setup I utilized in the car during my previous ownership to replace the clunky and complicated automatic seat belts that we were cursed with here in the states. 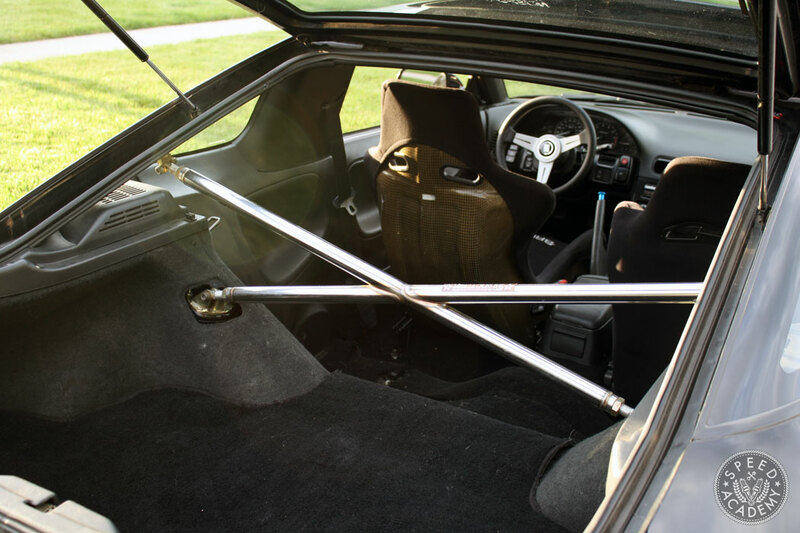 Fortunately our friends in Canada and Japan were given a traditional seatbelt system that can be bolted into a US spec chassis. The next order of business was to source a pair of seats for the car. I initially decided to make use of my old school Bride seats that I had kept from the Lexus project, but after placing them in the car I began to debate doing something a little different this time around. While I love the look of a pair of classic red Bride seats in just about any car, I wanted to try a more subtle approach. I sold my red seats in favor of a carbon kevlar Bride Zieg II and a Brix 1.5 recliner for the passenger side. This achieves the same period correct look that I am striving for in a more reserved fashion than the previous red pair I was sporting. 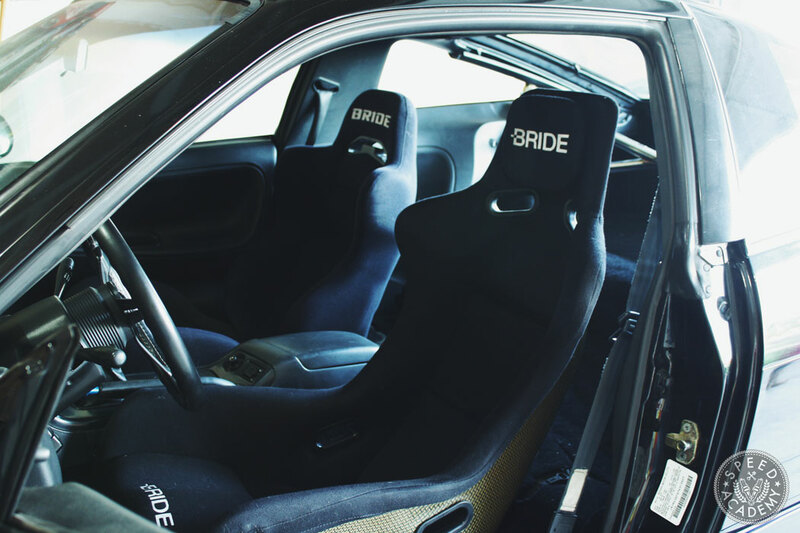 Both seats are secured to the chassis by way of Bride seat rails. Though the car included a factory back seat, I ultimately decided to do the same thing I had done previously and remove it from the car’s interior. I’ve never had anyone ride in the back of my 240SX as the car is typically very low to the ground and I have concerns about its safety overall, so this seemed like a logical choice. To fill the void where the back seat used to be I chose to once again install a NeXt Miracle cross bar. 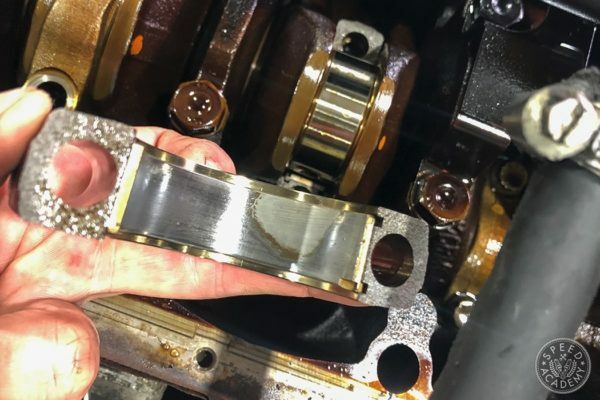 This item ties together the rear strut towers and C pillars of the car to stiffen the chassis in an area that is known for exhibiting a fair amount of flex. These bars can be fairly hard to come by, but a friend was parting out his S13 and I was able to snag it. The factory carpet flows under the X brace and covers a majority of the exposed sheet metal where the rear seat used to reside. The S14 steering wheel that came with the car when I bought it wasn’t good for much more than pushing the car into the garage. I replaced it with the tried and true combination of a Nardi Classic 330mm leather steering wheel and a Works Bell SPLASH Boss steering wheel hub. 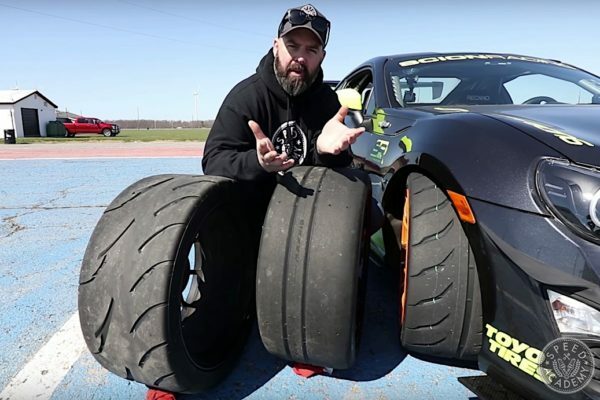 The small diameter of the Nardi wheel is perfect for the nimble chassis and gives the car a great driving feel without straying from the early 2000s theme of the car. 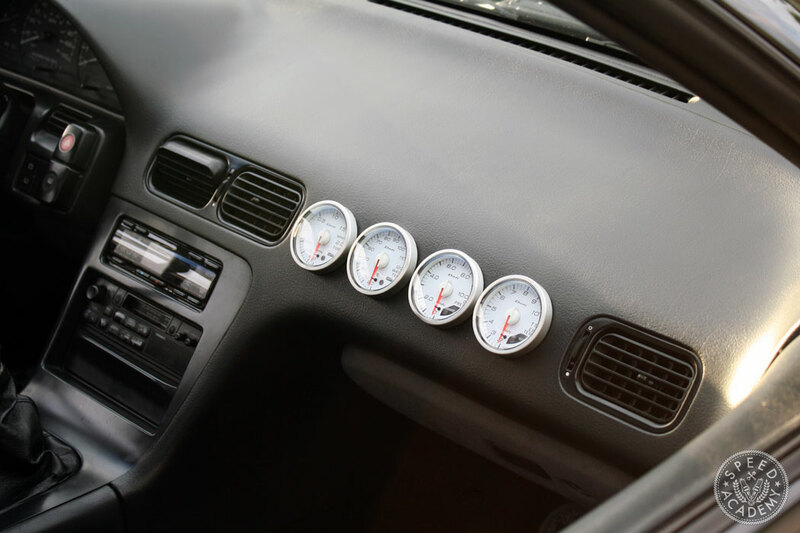 No interior would be complete without a set of decent gauges. While I had previously always mounted my gauges in place of the center dash vents, I had always tossed around the idea of mounting them in the dashboard on the passenger side much like the Japanese drift cars from the days of old. Despite having my concerns about destroying an otherwise mint condition dash (not easy to come by in an S13 as they are prone to cracking and sun damage,) I decided to take a crack at it (see what I did there?) 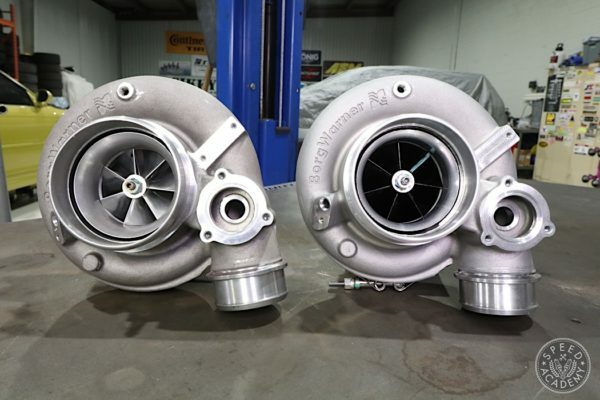 I chose a set of discontinued Defi 60mm white face gauges to monitor the engine’s oil temperature, oil pressure, water temperature, and boost levels. The gauge controller is tucked neatly in the DIN cubby below the factory stereo. At this point the interior is more or less complete. I chose to add some finishing touches like checkered floor mats, a NISMO GT shift knob, and a Cusco spin-turn knob should I decide to attempt drifting the car. Even though I no longer have an HVAC system in the car, I replaced the traditional US spec analog climate control faceplate with a digital climate control unit used on the 180SX in Japan. It won’t actually do anything other than look cool, but why not? 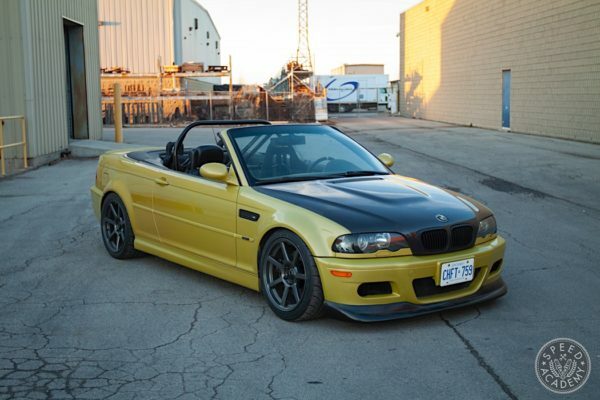 Aside from potentially adding a Safety 21 bolt-in roll cage similar to the one I ran in the car previously at some point the interior is in great shape. This setup should prove as a comfortable home for me if I choose to give learning to drift a try while not being too extreme for summer commutes to the office. Thanks! We really try to make sure that everything we build is up to a certain standard. I sold my red seats in favor of a carbon kevlar Bride Zieg II and a Brix 1.5 recliner for the passenger side. This achieves the same period correct look that I am striving for in a more reserved fashion than the previous red pair I was sporting.